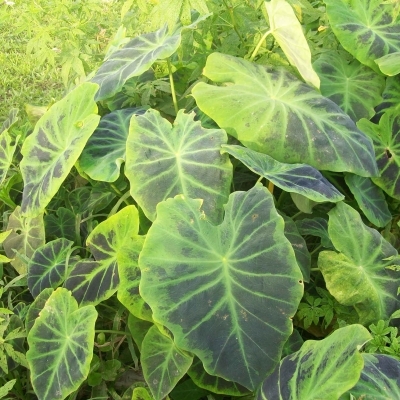 The colocasia is a very common tropical plant with huge leafs. 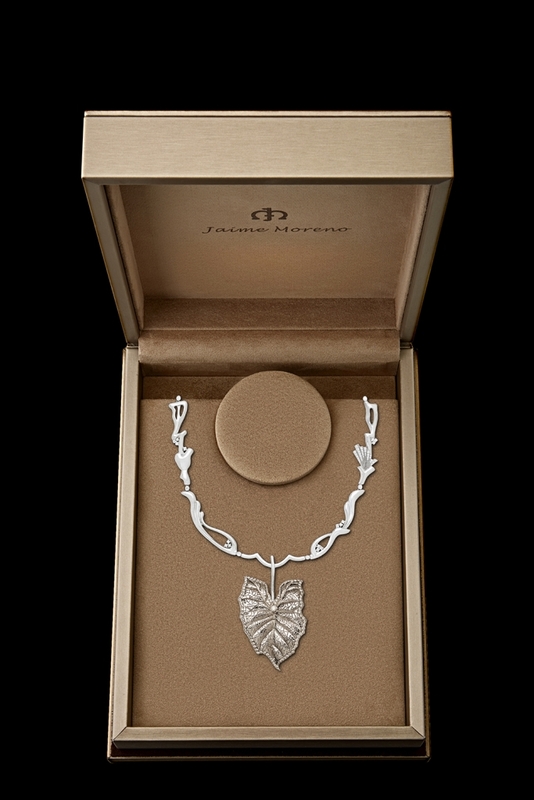 I wanted to hung a colocasia leaf from a necklace that imaginatively represented the branches and fruits of this plant. The leaf has been hand carved and the necklace has been elaborated with forms allusive to Art Nouveau pieces.